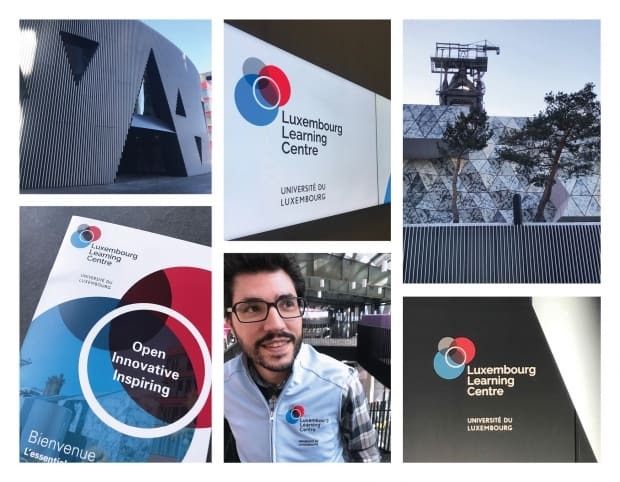 As part of ABG Design’s ongoing work with the University of Luxembourg, ABG Design have created a brand identity for the new Luxembourg Learning Centre. Besides offering classical library services, the Luxembourg Learning Centre offers a state of the art learning environment for students and for the general public. Users of the Learning Centre benefit from a digitally enhanced learning experience covering a large variety of learning settings; from individual workspaces to digital collaboration environments for small groups, through to interactive and virtual classrooms for larger groups of students who can be either on-site or connected via Internet. ABG Design have created the brand identity and user guidelines for the Learning Centre to provide distinctive communications style and language built around the brand mark. A dynamic animated logo sequence was also created to generate interest in the new centre and to portray its values.